Krohne has introduced the new Optisys TUR 1060 optical turbidity measuring system. The main application areas are quality monitoring or filter monitoring in drinking water, or in cooling water circuits or demineralisation processes. The new analytical system employs 90° scattered light technology and is compliant to US EPA 180.1 and EN ISO 7027. It comes with Modbus RS485 communication and features improved usability, fast measuring response time, simple and cost-efficient calibration, data logging and low maintenance requirements. 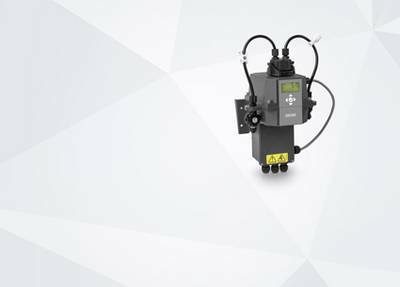 Although the TUR 1060 shares components with its predecessor the TUR 1050 and can be retrofitted, the system has been completely redesigned: it provides improved usability due to cursor keys and simple start-up and operation without special knowledge. For flexibility, the measuring ranges can be adapted according to the application. The new system has an integrated data logger for storing measurement readings and the last four calibrations up to one year, depending on selected logging interval. Calibration data and logged data can both be downloaded via USB.